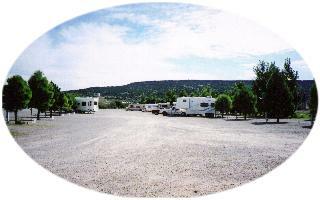 DESCRIPTION: Located 80 miles West of Albuquerque, Bar “S” RV Park has long, wide pull thru sites. Big rigs are welcome! Area attractions include the El Malpais and El Morro National Monuments, Acoma Sky City, Chaco Canyon, Blue Water Lake, and a mining museum. A Golf Course is located nearby. Shopping and restaurants closeby. Wal Mart is about 6 miles from the park, at Exit 85. AMENITIES: Meeting/TV Room, Laundry, Clean Showers and Restrooms, Handicap Facilities, Small Gift Shop (Including local pottery and Kachina's), Limited Groceries and RV Supplies, Snacks, Ice, Coke Machine, City Water, Cable TV, Public Phone, Modem Hookup, Gravel Sites. DIRECTIONS: From I-40 Exit #79. 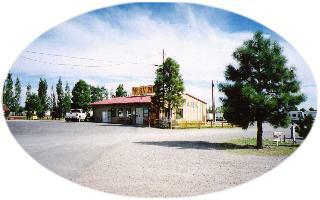 RV Park located on the Northeast side of interstate, behind Love’s Truck Stop.